This year, I decided to have a “New Year’s Eve Party.” Why the quotations? Well, not entirely sure it was a traditional definition of an NYE party bc it consisted of 2 people’s houses, 3 carpools, friends, surprise friends, and GREAT FOOD of course! My lovely friends Sarah and Cessie helped concoct homemade sweet potato gnocchi, which was delicious AND a sticky mess, and we made walnut jam cake from our fave, Deb Perelman of Smitten Kitchen. To be honest, I think all sweet potato gnocchi recipes are more fake-it-til-you-make-it than an actual scientific recipe. They all have different ratios of potato to flour, and we ended up just continuing to add flour to our cheese-potato mixture until it resembled a dough. Even then, I think we shoulda added a bit more flour. 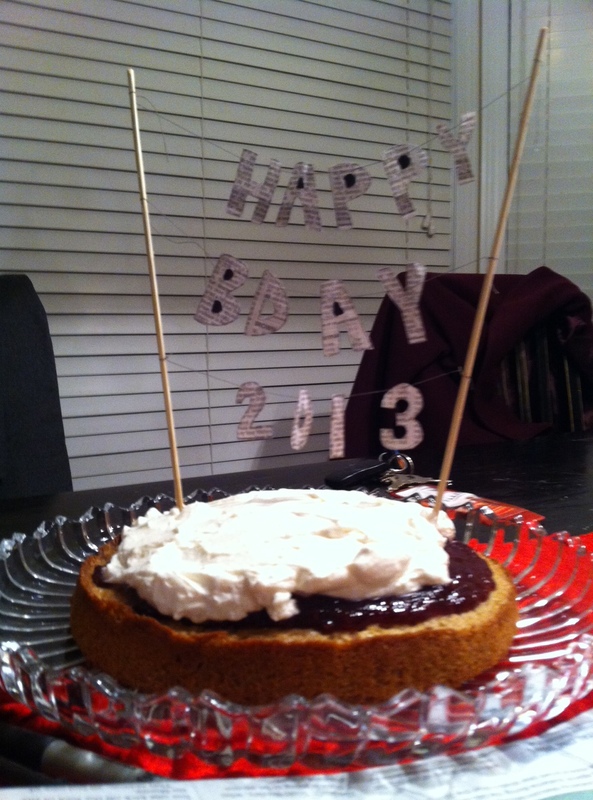 I decided that since it was NYE, we needed to sing happy birthday to 2013, so we did. And we also decided that it was completely necessary to SEW a newspaper greeting with sewing thread and two kebab sticks. One of our guy friends walked in during a climactic sewing moment, and I think he probably considered leaving what may have looked like a knitting party. (Srsly though, it was more exciting once more people got there). 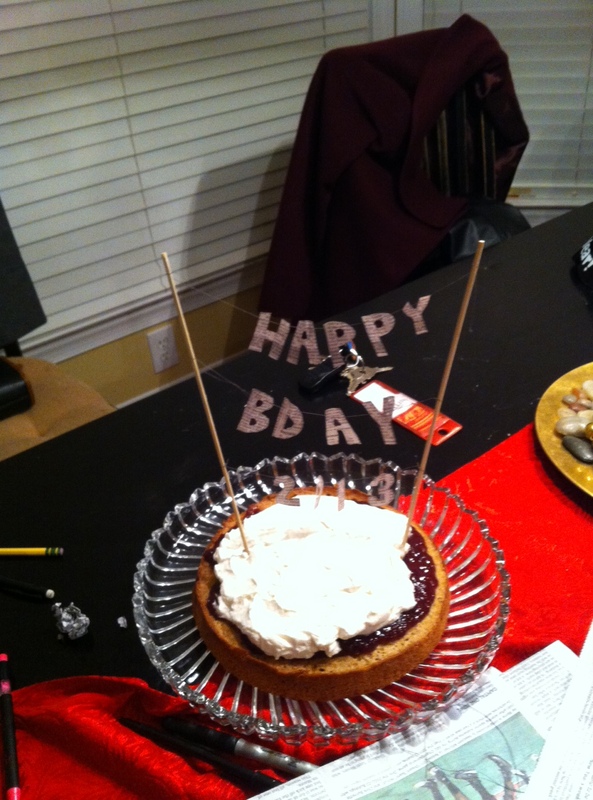 Here’s some pics of our cake!